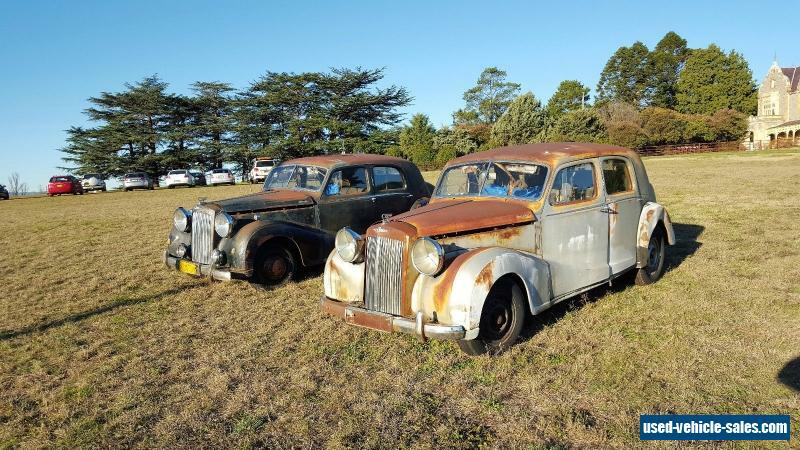 PAIR OF CARS FOR SALE: $4,000 THE PAIR: Austin A125 Sheerlines were produced by the Austin Motor Company in England between 1947 and 1954. Only 7,851 were ever built. Of these there are only 130 known to exist worldwide and maybe 50 of these are in Australia. The 3993cc motor unit was based around and fairly similar to the Austin series Lorry engine, the 16 foot chassis and gear box are Longbridge built the bodywork is steel and the headlights are Lucas P100s. Sheerline interiors included full leather seats, felt headlining, walnut veneer dash and door trims/cappings, steel sunroof, Ecko Radio, even hydraulic jacking system adjacent to each wheel. The Sheerline Saloon weighs 1,888kg. When you buy these two Sheelines and you are ready to restore them here are some tips (courtesy Austin Sheerline Princess Club): Engine: The series straight six cylinder engine is very robust, prone to overheating because it sits in small and poorly ventilated engine bay (designers lived in the cold English climate). An electric fan fixes this. Fuel pump operates off cam and should be replaced by an electric fuel pump, fuel feed pipes should be insulated because they run close to the hot exhaust manifold which can cause vapour-lock. Electrics: It may be advisable to replace the whole braided loom wiring set-up. Dashboard instruments should be professionally restored although replacements appear on ebay and through the Sheerline Princess Club. Steering: Usually holds up ok but pins will be worn. Steering Wheels were always problem because the bakelite was affected by long exposure to sunlight. There are firms which reconstruct steering wheels in Australia although this is an expensive item. Suspension: rear leaf springs often need re-tensioning. Wheels Brakes: Wheel cylinders need replacing (available on ebay) or re-sleveing. Hand brake handle which is bakelite usually needs work. 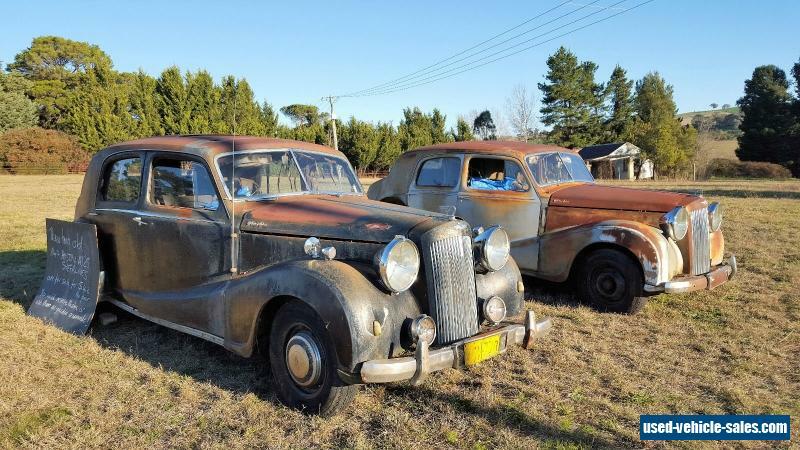 Bodywork: rear windscreens always leak so require careful attention, sunroof drain channels always leaked because the rubber hoses perished or the steel popes connected to them became clogged and rusted. Weakest points on body are back edge of front wings, spare wheel compartment lid, corners of the boot lid, running boards. Wooden framing in the doors usually requires repair and re-gluing, and tightening up to regain the correct flex in the door panels which all slumped after 20 years. These cars came with lots of extras (tool kits, inspection lights, glove box and workshop manuals, etc) now all extremely rare. 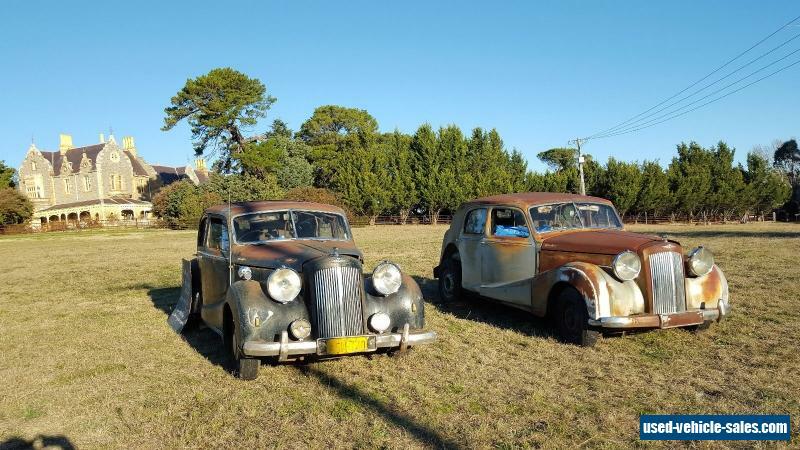 If you have the courage to take this project on, the finished restoration would give you one of the rarest cars in the world and among the most beautiful.I will be restoring several myself but these two are surplus to my project. Some people called them the poor man's Rolls Royce but actually they were the rich man's Riley!